The black and white aerial photo on dipslay generated a lot of interest, discussion, and speculation. We had a contest to guess the age of the photo (Month and Year), and the answer was SEPTEMBER, 1967. 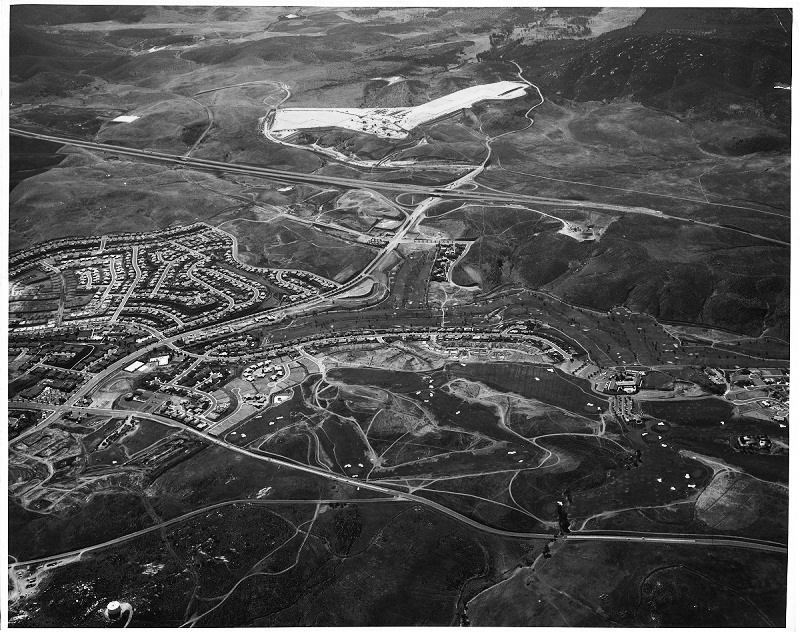 The winner ot the contest was Scott Lawn of Rancho Bernardo, who correctly guessed the precise age of the photo. Scott's won a gift certificate for lunch at Cafe Merlot in the historic Bernardo Winery. To learn more about the history of Rancho Bernardo, be sure to visit the RB History Museum at the Bernardo Winery. And, consider becoming a member of the Rancho Bernardo Historical Society. For more information, you can visit the website at www.RBHistoricalSociety.org.